YouTube recently changed its policy on who can Live Stream on a mobile device. This will quickly get you up to speed on the new rules and how it effects some of the channels we follow. We’ve recently raised the threshold for YouTube Live with a mobile device. To be able to live stream on mobile, your channel will need to have at least 1,000 subscribers. Note that this eligibility threshold does not apply to other live streaming tools. Creators who have less than 1,000 subscribers will still be able to live stream through desktop and webcam. Your channel received a Community Guidelines strike. Your live stream or archived live stream is blocked globally. Your live stream or archived live stream receives a copyright takedown. Your live stream matches another copyrighted live broadcast. In addition, for channels that have a significant number of videos with features disabled, live streaming functionality may also be disabled. You can check to see if your channel has any strikes, and check whether your currently have access to live streaming here. If your account has been restricted from live streaming, you are prohibited from using another channel to live stream on YouTube. This applies for as long as the restriction remains active on your account. Violation of this restriction is considered circumvention under our Terms of Service and may result in termination of your account. If you suggest that you will live stream content that violates our Community Guidelines, we may age-restrict or remove your live stream. The reason for these changes is that YouTube is implementing policies that limit their liability of legal action should someone do something on their platform. For example if someone creates a channel and goes live during a killing spree, YouTube is open to being sued if they keep the live stream going. Since there is no way of knowing what people are doing on their live streams at any given time, they have opted to limit the people who can go live with a mobile device. Hence the ability to continue to go live using your desktop computer. It may not seem fair but they felt like they needed to take some kind of action without getting rid of it altogether. What’s It Mean for the YTPC? So now we know what we’re dealing with. Channels can continue to stream if they are under 1,000 subs but not with a mobile device. 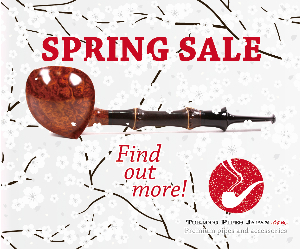 Being a very small community, Pipe smokers need to stick together. It couldn’t be more true than in the YouTube Pipe Community (YTPC). 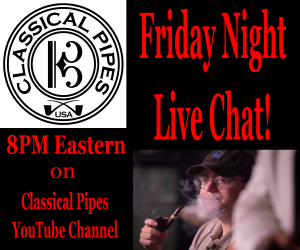 There are of course some big channels like The Mayor (Derek Tant), Matches 860, The Pipe Nook, Briar Blues and others that don’t have to worry. Then there are some that Live Streaming made up a good portion of their content, who have less than the minimum. These channels have been hit hard. I would love it if all the channels would have enough subscribers to be able to do what ever they wanted, but it’s just too many right now. Plus some never go live so it isn’t as critical in this respect. In general there have been a couple ways to attract people to channels. One is using our YTPC Directory. We try to maintain it as best we can. It is a list of YTPC members linked directly to their channel’s homepage. Going through this list is a good way to find new channels. If you know of a channel that is not listed, including your own, please let our editors know. Email us at editor@briarreport.com and we will do what we can to get that posted. The other great way to find new channels is by word of mouth. Ghost Cob has a weekly “Find Five Friday” that you can usually find linked from our main news website. Ghost Cob has a knack of finding new channels and getting them some exposure. It has been an invaluable resource. He also features some established channels mixed in with the new ones. Ghost Cob is a must watch channel to keep up to date, and now that I think of it, does some live streaming himself, so be sure to sub him is you’re not already. Wharfe Valley Boy is another doing this service. He is from over the Pond and is doing a fantastic job as well. What we need to do is get the word out and get some of these channels back on the air. I’m talking about the ones that used the live feature often and now can’t. There are so many really great “Live Streamers”, for lack of a better term and the loss of their content has been a tremendous blow. What is needed is for everyone who is not subscribed to these particular channels to go and subscribe to them. Get them to the threshold so they can get back to their contributions to the YTPC. Everyone does things in their own way, this happens to be theirs. We are going to list the channels that we know frequently live streamed. At least weekly. Please, sub them if you are not already doing so. We will try to add to this list if we have missed any big names. If there is any channel that live streamed before the new rule went into effect and they have been knocked off, and they are not on this list, please let us know and we’ll get them added. Don’t use this just to promote a particular channel, but only to those who live streamed. We can always do something for the others later. Zach has had some of the most active live streams. He also has been helpful in getting new channels the subscribers needed to get their channels off the ground. He’s got a pretty good base but need quite a few to get him to 1,000. I’d hate to see his live streams down for the next several months. A big live streamer. You could almost always find him live early Friday warming up the crowd for Matches 860. He may have used the live feature more than anyone else in the YTPC. 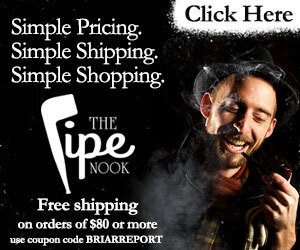 Art from Pipe & Spirits is most known for the Daily Five. A segment he puts out every day that you really need to see. It’s only a couple minutes long but it will become a great part of your day. He also from time to time would live stream from his new Smoking Retreat or even from his off road smoking vehicle. His lives were so laid back they were very relaxing to sit back and chat with him. Another Live Streamer that falls short of the minimum. Very active in the YTPC you probably have seen her on most other live streams. A gem in our community and worthy of a subscription that’s for sure. Has a very long way to go, but has very quickly gotten to where he’s at now, so it may be doable. It may be a long road but it’s better we start now. I’m sure by the end of the year he will be back up doing live chats. Only live occasionally but it was something that would happen if they wanted to. They are very close to the 1K mark so this one should be easy. Just click the link and hit them up for a sub. As mentioned before, this was just a short list that really popped out. I’m sure there are more and we’d be happy to list them. Just remember they must have been doing live streams before the new rule was put into effect. Also, it would be most helpful if after subbing the people on this list to pass this article on to your friends and followers on Social Media. The more people who get involved the easier it makes it for us. On behalf of the people who you sub, thank you very much.